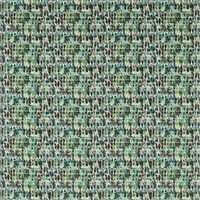 Harlequin supply our most popular ranges and their newest collection Anthozoa arrived in our shop a few weeks ago. This is always a chance for us to get inspired by new patterns, colours and textures. As always you are welcome to come into the shop and browse the range and we can order samples for you to look at in your own home. 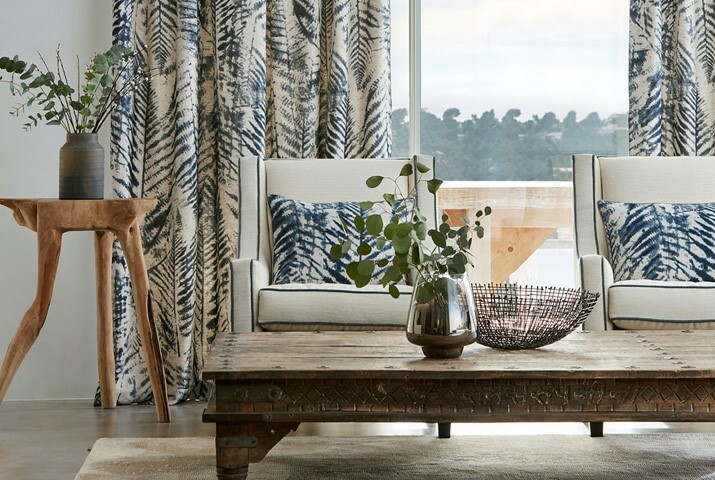 Anthozoa is described as “Vivacious and energetic, bursting with glamorous botanicals, exotic sea plants, inky landscapes and corals.” The collection features wallpapers, fabrics and the accompanying Maramo Linens. Here’s our selection of some of our favourites and ideas they’re sparking in us. 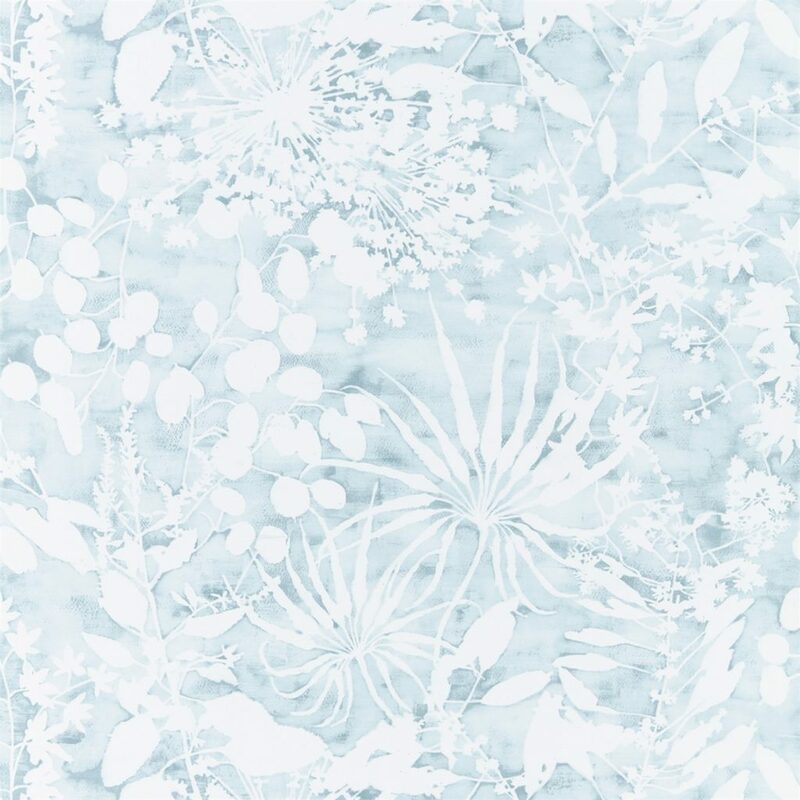 Caralline wallpaper is a small scale design of botanical plants which have a marine feel which if you’re local is a lovely way to reference our coastal location in a different way to the stripes and nautical look. It comes in four colours shown in blue above and stone below. 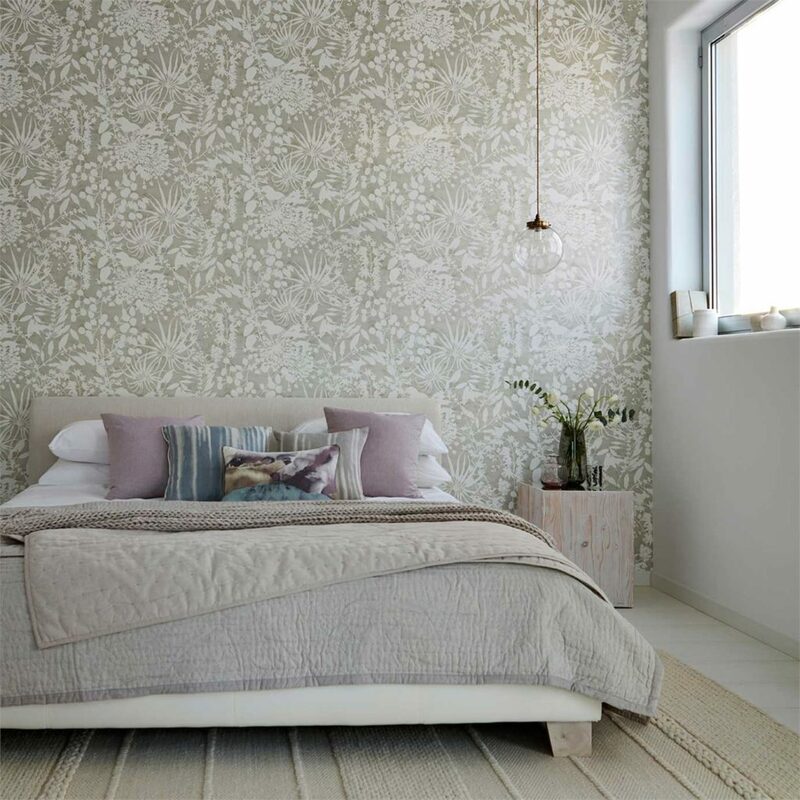 I think this wallpaper is very useable, it doesn’t dominate and isn’t overly fussy so would be perfect for a bedroom or if you are worried about being too feminine in a guest room it’s a great option. In this inspiration shot it is paired with a lilac blush colour fabric in the cushions – poetica plain. Pairing blush colours with these stony shades gives an understated, sophisticated look and we can recommend paint colours that will tone in with these papers and fabrics. 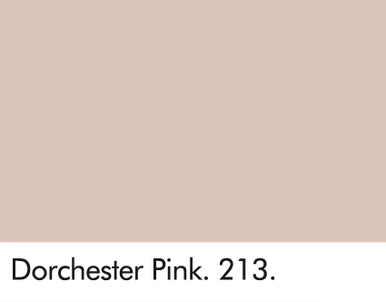 A soft blush paint would look lovely with this paper, for example Little Greene Dorchester Pink 213. Well if it’s good enough for the Dorchester…. 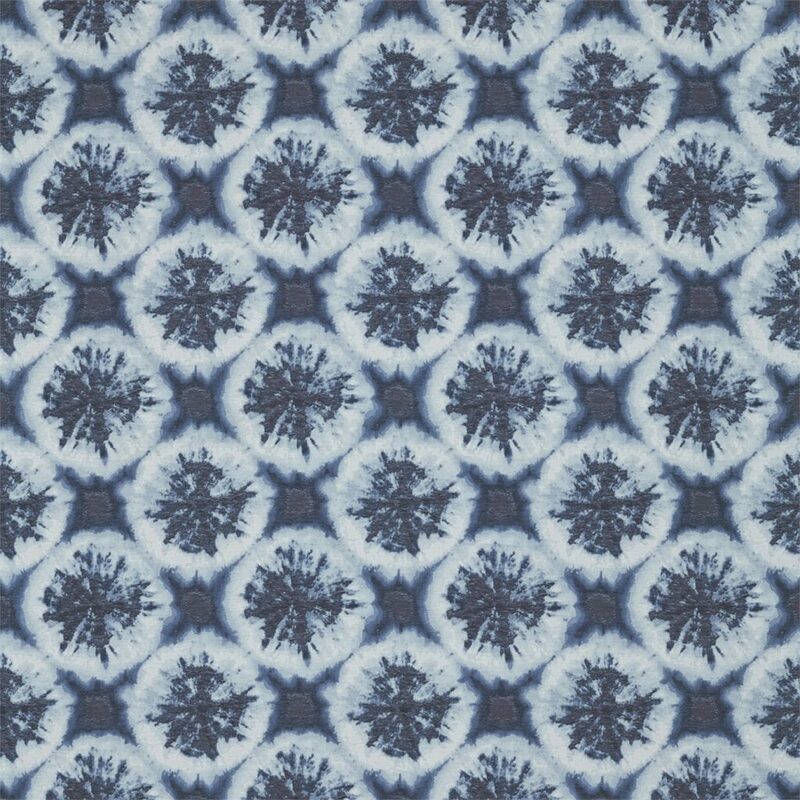 There are 11 fabric designs in 37 colourways which can work with or without the wallpapers, I love this vivacious Kelambu fabric. 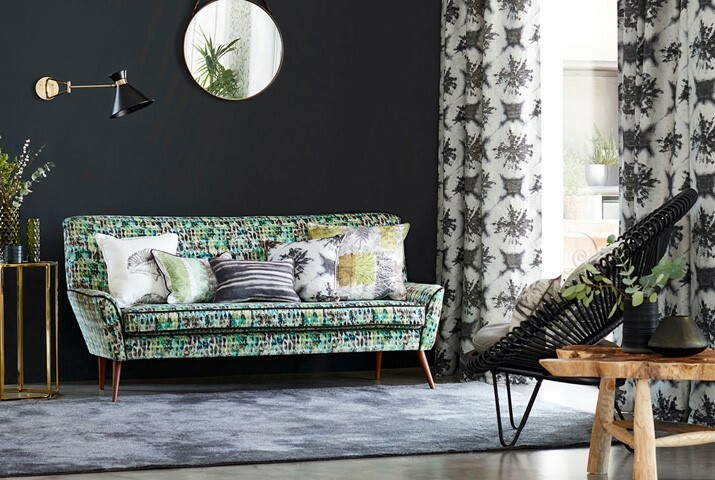 That sofa is sitting next to another one of my favourite fabrics from this collection which has been used in the curtains, Nihan shown above in ink or below in indigo. These abstract, geometric prints will mix in with plains and other prints easily as you can see from the other cushions used above. These are just a few personal highlights of the collection but I hope you’ve enjoyed this glimpse at the Anthozoa range. Let us know your thoughts on anything in this blog, and of course pop in to the shop to see this collection and more!